“Yo, ho ho and a bottle of rum. We’ve all heard this famous saying, but do you know where it originated? In 1883 British writer Robert Louis Stevenson had just published his most famous book Treasure Island. Although there were pirates and buried treasure in Barbados, there is no R.L. Stevenson Treasure Island connection to Barbados, as the book was most likely inspired by Norman Island in the British Virgin Islands. How rum got its name is a matter of conjecture. Its origin has entered the realm of “legend and lore”. Some possible sources were (1) derivation from the Latin word saccharum (sugar), (2) a corruption of the term ‘rombustion’ meaning ‘a strong liquid’, (3) from the word ‘rumbullion’ which means “a great tempest” and (4) from the Spanish ‘ron’, because it is likely that the Spanish were distilling in the West Indies before the British arrived. So, what is rum exactly? Well, it’s a spirit chiefly produced in the warm climates of the Caribbean, Latin and South America where sugarcane is grown. Rum is made by distilling fermented sugar and water. This sugar comes from the sugar cane and is fermented from cane juice, concentrated cane juice, or molasses. Molasses is the sweet, sticky residue that remains after sugar cane juice is boiled and the crystallized sugar is extracted. Rum does not require a malting process (turning starch into sugar) for fermentation as it already uses by-products of sugar. Unlike some other spirits, notably whiskey, rum has no defined production methods other than the required use of sugar cane as the fermentable resource and a maximum distillation proof level. Instead, rum production is based on traditional practices that vary between locations and distillers. One of the most important aspects of rum production for most serious rum lovers is the length of time each rum is aged for. This is probably one of the most interesting aspects of rum production and the one that least is known about. As there are no consistent laws on how rum is aged throughout the world, rum is aged in various locations and for varying lengths of time. Rum can be found aging at sea level, thousands of feet up in the mountains and even underwater, thus creating wide varieties in styles and flavors. Rum can be bottled straight from the still with little or no aging, or can be aged up to thirty years or more in oak barrels. Rum is aged in the humid tropical islands of the Caribbean, in the cold climates of Northern Europe and even in the mountains of Nepal. When rum is aged for long periods of time in an oak barrel it will slowly evaporate. This evaporation is often called the angel’s share. The evaporation rate can be as high as 10% a year in the tropical Caribbean, while it can be as little as 2% for Cognac or whiskey producers in colder climates. While the oak barrel allows the rum to breathe through the wood during the aging process, which in turn adds great flavor to the rum, this evaporation is costing the distiller large amounts of money in lost profit. Obviously the longer you age the rum, the more is lost to evaporation and so less rum is left to bottle. If you’ve never tried an aged rum, we highly recommend checking out the fine rums from Foursquare distillery in Barbados. 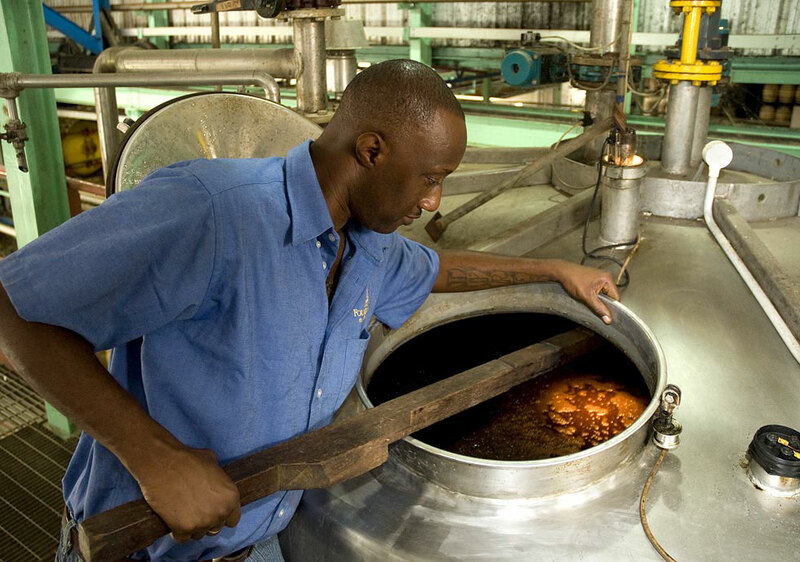 Foursquare distillery is of the oldest remaining sugar plantations and rum distilleries on Barbados today. Taking its name from Square Pond in the area, the Foursquare distillery was completely renovated in 1996. It is also the only remaining Barbadian owned rum manufacturer in Barbados. Fermentation at Foursquare takes place in closed tanks where they recover carbon dioxide and sell it to carbonated beverage bottlers! The flagship rum from R.L. 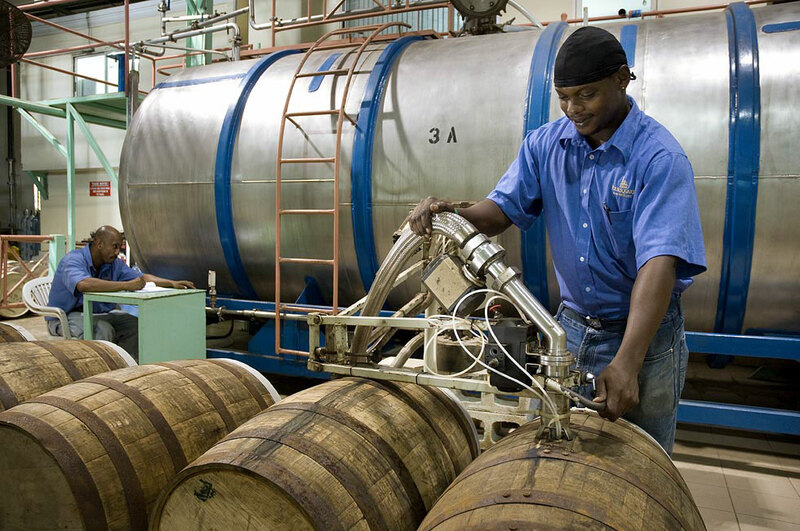 Seale distillery in Barbados is a classic – their “Finest 10 year” which is aged in used bourbon barrels with additional maturation in Madeira casks of American oak and Brandy casks of French oak. These influences provide the spirit with a range of complex flavors and aromas, similar to a fine Cognac, and at a fantastic price. Hi, Russ – Price varies a bit from market to market, but the R.L. Seale 10 year is about $21.99 in most locations. Instead of recommending a particular distillery, I suggest to better describe the different types of rum to then recommend a particular distillery. First, let’s mention that there are two types of rum – agrícola (agricultural) and industrial (industrial). For the production of Agricultural Rum (Rhum agricole), the process consists of the fermentation, followed by the distillation, of pure sugar cane juice. Rhum agricole, or agricultural rum, is the result of a nineteenth-century molasses shortage and the imagination of master distiller Homere Clement. Rhum agricole, produced in the French West Indies since the 19th century, begins with only freshly-squeezed sugar cane juice, which can only be made when the sugar cane is at its peak of maturity, limiting production to a short season The sugar cane is planted in February and grows through the end in June. When the cane is fully matured, the field is set on fire in order to clear the weakest sugarcane. Then the canes are chopped as low to the ground as possible to get the highest concentration of sucrose. The cane juice is immediately distilled to make rhum agricole. Conversely, for the production of industrial (also called traditional) rum, which appeared in the 17th century in the Caribbean, molasses is used in the fermentation and distillation. Molasses is a by-product of sugar production consisting of residual non-crystallized sugar. 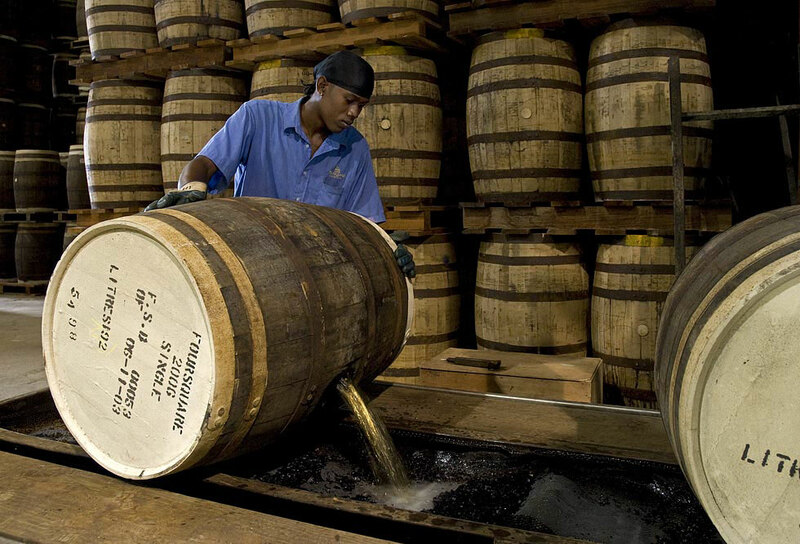 Today, the industrial rum represents about 90% of the world production of rum. Which one is better? Well, perhaps the one that you like; however, the agricultural rum, mainly produced in the French West Indies (Martinique and Guadeloupe), is a high quality rum well know and appreciated for its specifics aroma and flavor, and its process of making. In fact, since 1996, the agricultural rums from La Martinique are the only rums granted with a French A.O.C. (Appellation d’Origine Contrôlée) delivered by the National Institute of Appellation of Origin (INAO). A.O.C. rums are at the top of the official French quality scale. They have to comply with legal restrictions on cane varieties, yield and especially production zone. Lastly, worth mentioning is the difference between aged rum (ron añejo), which is strictly kept in barrels for x amount of years vs rum reserve (ron reserva), which is a blend of styles, ages and types. What’s up with Mount Gay Eclipse? My TW can’t get the 1.75L bottles and the price of 750mL is twice what the 1.75’s were. This is great, so far as it goes… You need to discuss agricultural (made from fermented fresh cane juice) vs industrial (made from fermented molasses) [NOTE: these are french definitions.]. The best rums coming from the French Antillean Department are agricultural, i.e. St James, DuPont (from Martinique), Clement – not what it used to be, Severin (Guadeloupe), Bielle & others from Marie Galante. These rums have a completely different taste, aroma and characte from those out of the English and Spanish islands / colonies.